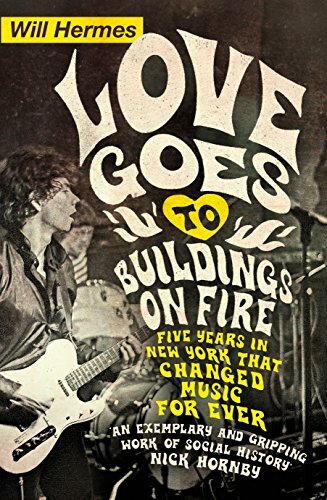 Love Goes to Buildings on Fire is the first book to tell the full story of the era's music scenes and the phenomenal and surprising ways they intersected. 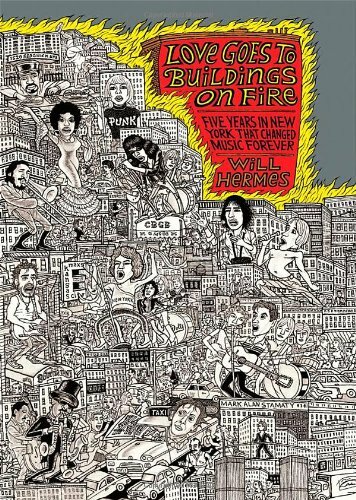 From New Year's Day 1973 to New Year's Eve 1977, the book moves panoramically from post-Dylan Greenwich Village, to the arson-scarred South Bronx barrios where salsa and hip-hop were created, to the Lower Manhattan lofts where jazz and classical music were reimagined, to ramshackle clubs like CBGBs and The Gallery, where rock and dance music were hot-wired for a new generation. As they remade the music, the musicians at the center of the book invented themselves: Willie Colón and the Fania All-Stars renting Yankee Stadium to take salsa to the masses, New Jersey locals Bruce Springsteen and Patti Smith claiming the jungleland of Manhattan as their own, Grandmaster Flash transforming the turntable into a musical instrument, David Byrne and Talking Heads proving that rock music "ain't no foolin' around." 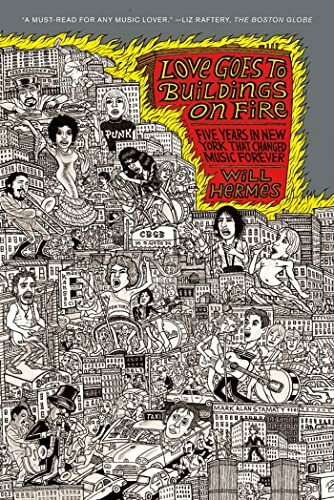 Will Hermes was there--venturing from his native Queens to the small dark rooms where the revolution was taking place--and in Love Goes to Buildings on Fire he captures the creativity, drive, and full-out lust for life of the great New York musicians of those years, who knew that the music they were making would change the world. Will Hermes is a senior critic for Rolling Stone and a longtime contributor to NPR's "All Things Considered." His work also appears inThe New York Times, the Village Voice, and elsewhere. He was co-editor ofSPIN: 20 Years of Alternative Music (2005).